Bengaluru: Bengaluru’s premiere IFIM Institutions hosted their annual charity run ‘Kanyathon 2019’ at the Infosys Leisure Ground. 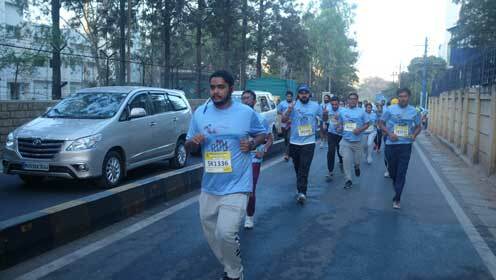 About 4,000 runners participated with the cause of ‘Saving the Girl Child’. Flying Officer Rashi Raina, one among the first 6 women fighter pilots in IAF, Squadron Leader Hemraj, Fighter pilots trainer, Sunil Kumar and Olympic Swimmer, Sajan Prakash were the Chief Guests for the occasion. The marathon began with a warm up session of Zumba followed by 3k, 5k and 10k marathon run. Aruna C. Newton, Associate Vice President and Head –Global Diversity and Inclusion at Infosys, CRY Volunteers, Corporates, Army Personnels and members from various running communities across Bangalore, participated in the run. The proceeds collected from Kanyathon will be donated to CRY and five villages adopted by the Institution in Kolar district under the government’s Unnat Bharat Abhiyan. 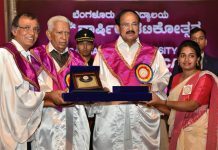 These villages are Settiganahalli, Mylandahalli, Gangapura, Thirumalakoppa and Koothandahalli. 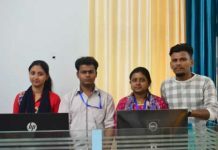 Students of IFIM will also extend their help in these villages through their flagship Industry Internship Program (IIP). “Kanyathon is our bit in the larger goal towards safety of the girl child. Women are essential to every society and strengthening them empowers the entire ecosystem. In 2018, Kanyathon assisted in sending 1,82,222 children to school and in protecting 13,330 from malnutrition, 804 child labor free villages and 10,114 children immunized through CRY. Also, students have been able to garner and donate funds to about Rs. 10 lacs over the past three years. This year the event has grown by 50% and thus the impact from this event is expected to be greater. 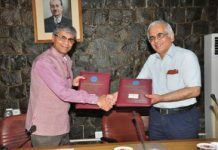 We also included our association with Central Government’s initiative ‘Unnat Bharat Abhiyan’ this year to extend our help to villages that need special care”, said Sanjay Padode, Secretary, CDE (IFIM Institutions). The winners of the k Fun run were Selva Kumar and Deepali, for 3k kids run, the winner was Anush. In the 10k category, Chandan Kumar and Suchira Gowda were the winners. 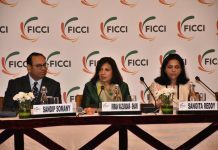 The event was sponsored by Address Maker, Columbia Asia Hospital, Infosys, CRY, FBB, Decathlon, Harsha Electronics, Cycle World, Nuttify, Soulful, Fitbit, Radio City 91.1FM and Zolo.